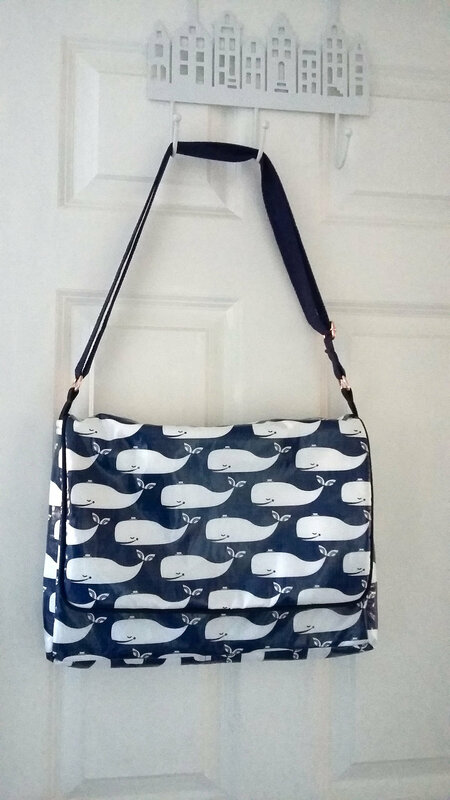 A large wipe clean satchel in this rare laminated cotton Whales print and lined in a blue and white polkadot cotton fabric. The strap is in a sturdy blue cotton webbing, and adjustable with rose gold metal. - rose gold magnetic snap closure on flap. 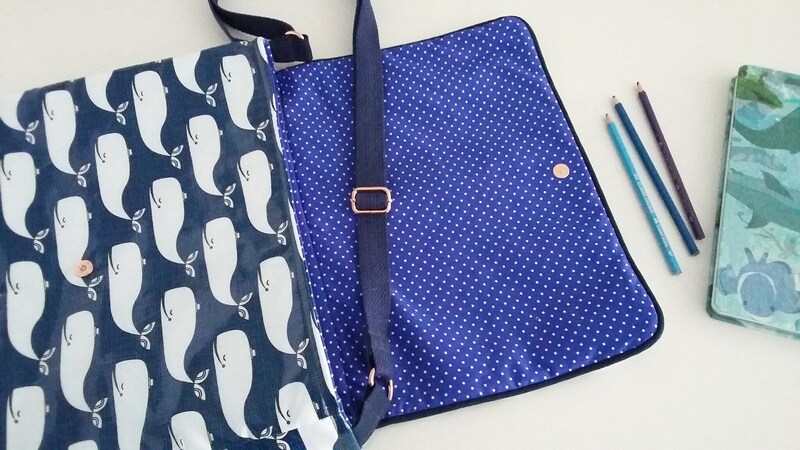 To fit A4 size, finished measurements: 14” wide, 10” tall, 2” deep (35cm x 25cm x 5cm). 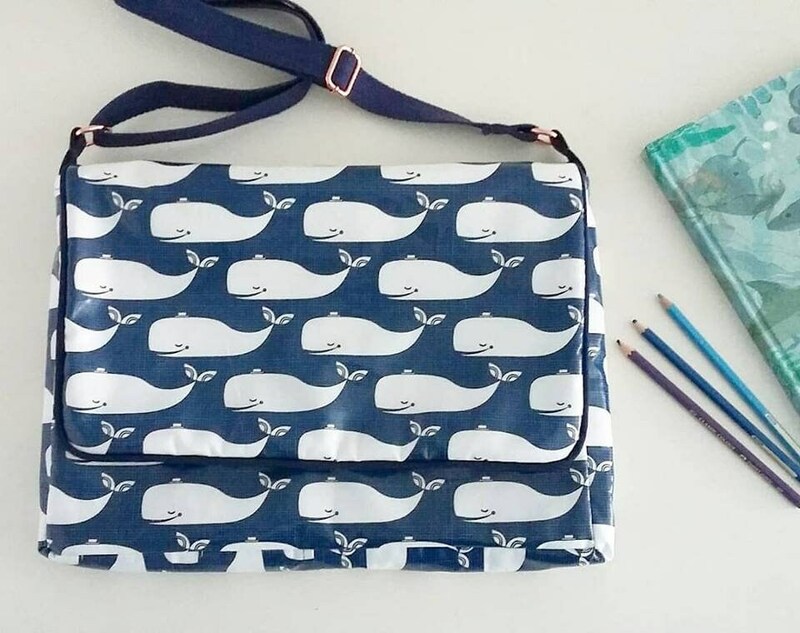 A generous sized bag perfect for use at school or college. Want to add a name tag for free? Simply leave the name at the checkout (max 20 characters) and I'll do the rest! 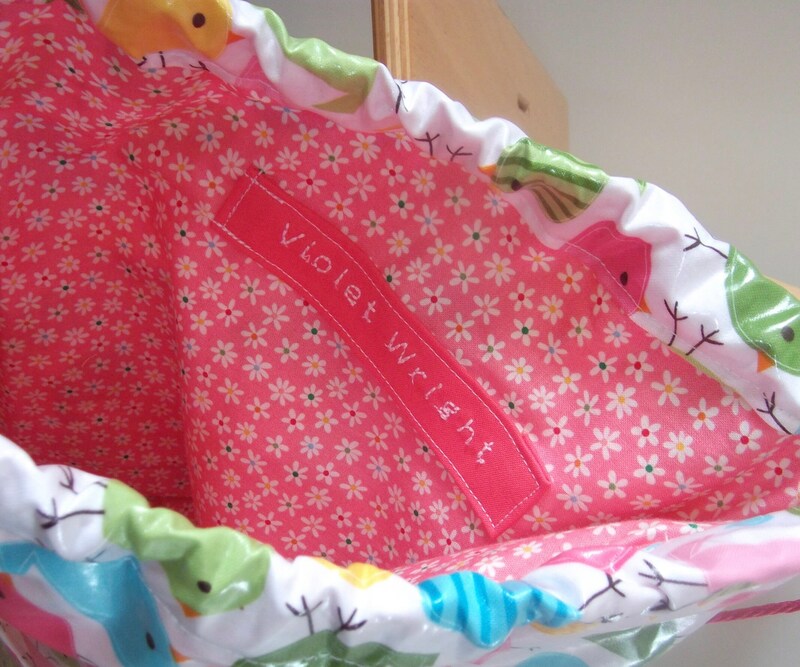 One in stock, ready to post by 2nd class tracked and signed post in the UK or tracked and signed international shipping. 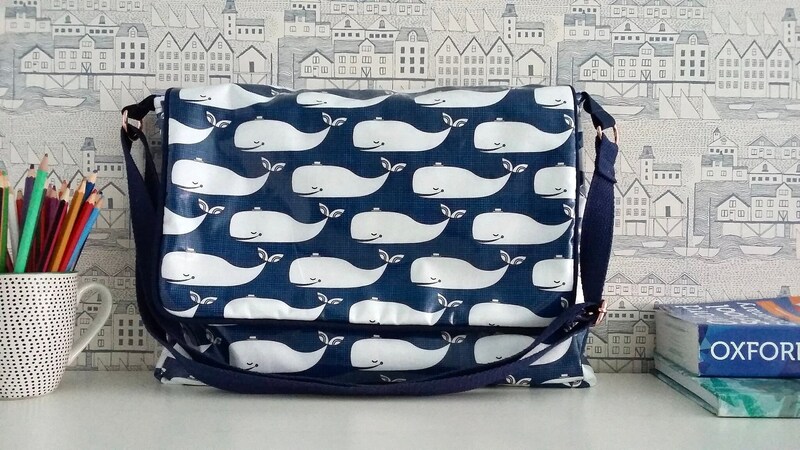 This pattern is my own design, the "Carina Satchel" which is also available as a digital pattern in my Shop http://www.sewsofia.co.uk/listing/646488712/the-carina-satchel-bag-pdf-sewing.